Posted on May 24, 2010 at 17:54. Tags: pgeu, postgresql. The elections for PostgreSQL Europe are now closed, and the full results are published on http://www.postgresql.eu/elections/2/. The PostgreSQL Europe Board would like to welcome our new board members Dave Page and Guillaume Lelarge, as well as welcome back Andreas Scherbaum who was re-elected. I would also like to personally thank Gabriele Bartolini, member of our original board and one of the initiators for PostgreSQL Europe, who will now be leaving the board. Gabriele has been instrumental in getting PostgreSQL Europe off the ground, and I'm sure we will see much of him within our community in the future as well, even if he is not serving on the board. A total of 20 persons voted in the elections, out of the 39 that were eligible. Thanks to all who participated in the elections! If you have any further questions around this, please feel free to contact me or any of the other board members (old or new) directly. Posted on Apr 20, 2010 at 10:15. Tags: pgeu, postgresql. We have now opened the nominations period for the upcoming elections to the board of PostgreSQL Europe. It's simple - anybody who is a member of PostgreSQL Europe (if you're in Europe and doing PostgreSQL stuff, as a developer, consultant or just a user, you really should be. It's easy!) can be a candidate to be elected. You just need to be nominated by one member (who can be yourself, just to let people know you are interested in being a candidate) and seconded by one other member - that's all. So if you're interested in this, or know somebody who should be, post your nominations to the pgeu-general mailinglist. For full details about the procedure, see this email. Posted on Feb 18, 2010 at 15:42. Tags: pgeu, postgresql. 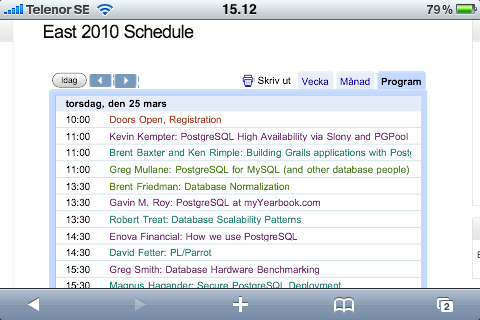 Those of you who were at FOSDEM, heard my bold announcement that we will finally get off the ground and hold proper elections fort he board of PostgreSQL Europe, per a decision made the day before. Now, when we got home and read up on the statutes that govern the organization, it turns out we actually can't do that. The way forward that we've found around this, is to actually change the statutes to make these things possible. To change the statutes, we need a majority of the General Assembly, made out of the active members, to agree on a change. It turns out that given how the statues are formed, there are currently only four members in PostgreSQL Europe, and these four members are the original board. Because of this, it was pretty easy to change the statutes (we only needed 3 of these people to agree, which we all did). And this we have done. The reason for changing them is to make sure we can get a working system going where we have more people involved. But in order to make that work, we first had to make this small-group decision. 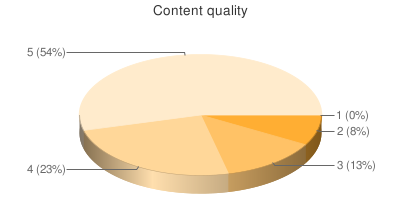 We have removed the definition of "Benefactor members", to keep things simple. We are keeping Active and Honorary members. Created a membership fee, to control who is a member. Change so that any resignations are handled by the Board, not the President, to make things more flexible. Add that a membership is terminated if the fee isn't paid. Added mailinglist as an approved way to do meetings. Since this is how we do most of our communicating, it made no sense not to have it on there. Moved the budget out of the GA, it's just a tool for the executive board. Keeps down the paperwork. Add a defined way for the GA to vote on issues, using a web based system (to be developed). Since we will be voting over the internet, remove the ability to vote by proxy. As you can see, the main change is the creation of a membership fee. This is the most controversial change. The idea here is that it will be a nominal fee (€10 for two years of membership - though that exact amount isn't part of the statutes, to keep flexibility). This will make it possible for us to have an actual membership list, which will be the grounds for who can vote. The current method for handling membership requires the signing and sending around of forms on paper (yes! Actual dead trees!). Given how our organization works, this simply does not work. That is the main driver behind us changing this. We did evaluate several other ways to deal with membership, ranging from things like requiring physical meetings (not really a good idea for a pan-European organization) to fancy PGP signing schemes (which really is way too complex for a lot of people). Our conclusion was that this was at least the least bad way to do it. We are going to build on this shortly with more information about exactly how the elections are going to be held. The plan is still to have completed this years election before the summer, and we are well on track to make that goal. The changes to the English statutes are of course available in our git repository. The binding french changes will be made shortly. If you have any changes or comments, please direct them at the pgeu-general@postgresql.org mailinglist, or directly contact the board. Posted on Feb 8, 2010 at 16:07. Tags: conferences, postgresql. A while back I submitted a couple of talks for PG-East 2010 in Philly, and over the past couple of weeks I've been nagging the organizers semi-frequently to get some pre-info on whether I've been accepted or not, since flight prices started to climb fairly rapidly. The site clearly says information that the information will be available on Feb 15th, so I can't really complain that the answer kept being "don't know yet". A couple of days ago, I got a note from Dave pinged me with a message asking if I was approved. Turns out this press-release had been posted (by his company, no less). 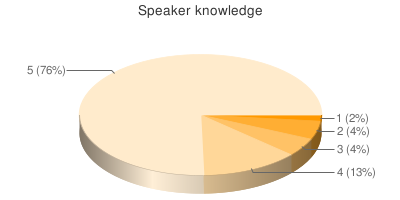 Which explicitly names me as a speaker at the conference. Took me two more days of chasing down JD, but I now have confirmation I'll be there. 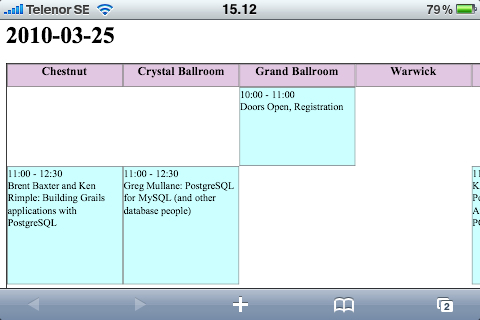 I don't actually know what I'll be speaking about, but it's a pretty safe bet it will be PostgreSQL related. I call this Time management by press releases. If I could only get it to apply to all meetings, I would no longer need to keep my own calendar up to date. So, I'll see you in Philly!